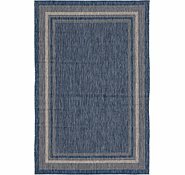 6' x 9' Outdoor Rug is rated 4.9 out of 5 by 17. Rated 5 out of 5 by WendyB from Good looking, hardy rug! 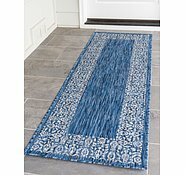 I am very happy with my outdoor rug, which I am actually using as a kitchen runner mat. It is nicely cushioned, so feels great under your feet whilst spending lots of time in my kitchen. I have had some little spills, and have wiped them off straight away, and the rug still looks like new. 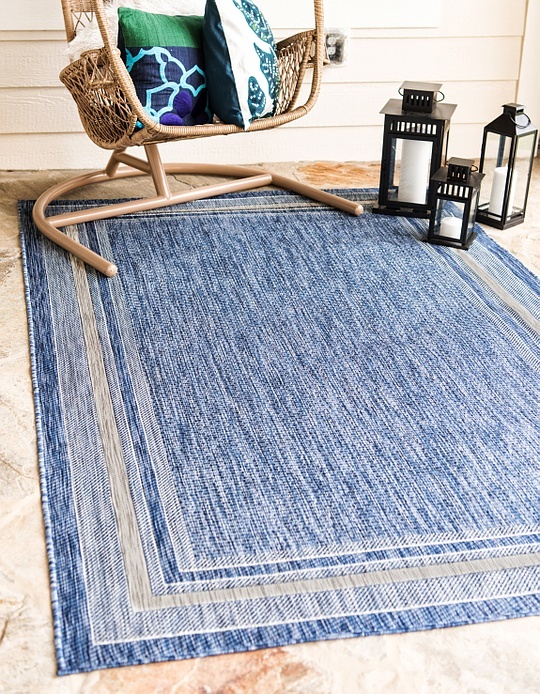 Definitely recommend this rug for outdoor or indoor uses!! Rated 5 out of 5 by Nikki Ronik from Perfect Rug for a house with pets This is the perfect Rug for any house with pets or small children as it is so easy to clean. This is the third rug like this we have had and we clean them regularly by hosing them off and hanging them on the line to dry. We have tried wool and synthetics and even silk but none of them are as easy to care for as these. They are also so reasonable that they can be replaced without breaking the bank. 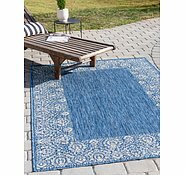 Rated 5 out of 5 by AllisonG from Perfect Size, Colour and Look When I started my search for an outdoor rug, the hardest part was finding the size I really wanted. Aurugs had so many different sizes and so many to choose from. This one was perfect in size, colour and design for me. It was exactly what I wanted. Everyone comments on it and says it just makes the area look so nice. Rated 5 out of 5 by Lala from Super fast delivery Ordered on 14/1 arrived in Sydney from the US on 19/1. As per photo and the quality is fantastic. Using rug for the kitchen floor on top of wooden floorboards. Looks great. Rated 5 out of 5 by Nikki Ronik from Perfect for pet owners. I have now got three of these in my home. They are wonderful for people who’s pets live in the house with them as mine do. Easy to clean (when accidents happen) and yet still look stylish in any room. Rated 5 out of 5 by Taffy from Great rus Best online shopping experience I’ve ever had. Exactly as described and the quickest delivery from overseas, emails to give step by step of delivery process. Just ordered another one, very impressive. 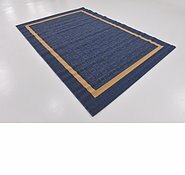 In order to remove an item from your shopping cart, please be in the initial page of the cart, showing the small photos of the rugs, as well as the pricing information. To the immediate right of the photo of the rug you wish to remove, there will be the size and name of the rug, beneath that there will be a line starting with SkuNo: and a number. After this number, there will be a link that says &quot;Remove&quot;. If you click on the link, the site will remove the item from your cart. 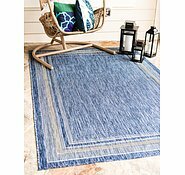 Hi I am interested in this indoor outdoor rug. How do you clean the rug? 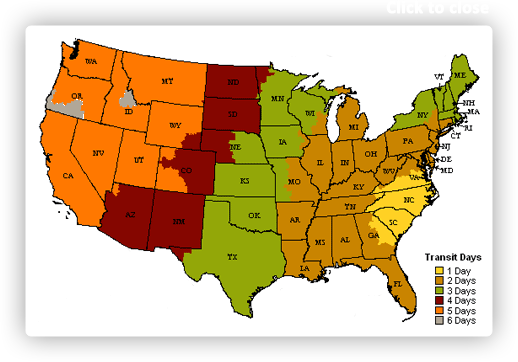 Is it able to be hosed down outside? This rug should be used outdoors. To ensure the colors will not fade, we recommend using a neutral dish detergent mixed with lukewarm water on a cotton cloth (microfiber will also work) and dab the spot as soon as possible to avoid absorption. Please be sure not to excessively scrub the affected area so the material will not fray. It is better to go over the area more times but in a gentle manner than to use a lot of product at once. This will ensure there will not be any left over residue. Also, be sure the cloth is not too wet. Also, this outdoor rug can be hosed down if needed. 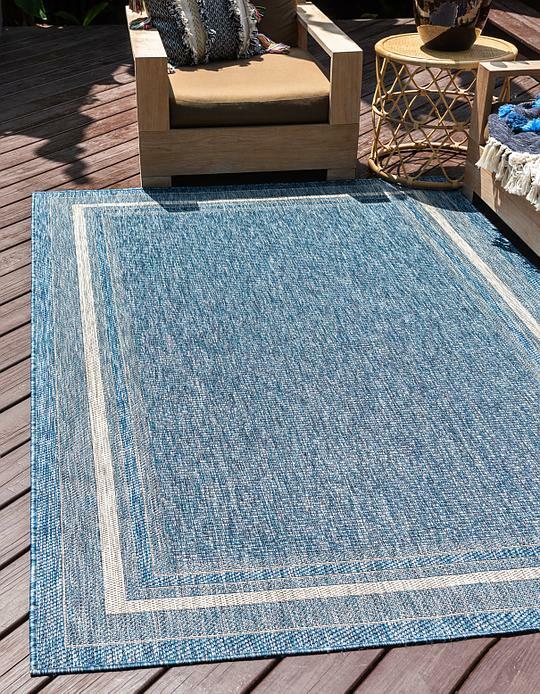 This Turkish Outdoor rug is made of Polypropylene. This rug is easy-to-clean, stain resistant, and does not shed. Dish Soap and Water is best way to clean this rug. Do you need a rug underlay to stop dye transfer onto flooring?